Thanks to its special rehabilitation treatment, Renona Centre affects development of children and adult patients with disorders of locomotive system as well as central and peripheral nervous system. Our aim is to maximally improve the locomotive faculties, intellect and speech of the treated patients with help of the most modern treatment methods and therapies. The minimal duration of a stay is 14 days, of which 12 days are dedicated to treatment. The maximum stay duration is 28 days. One rehabilitation day consists of a programme specified by the doctor and physiotherapist of 3 to 7 hours (depending on the patient´s age and abilities). Renona Kids/Suit exercise is combined with hippotherapy if necessary. Rehabilitation treatment in our centre includes also supporting treatment methods such as: Craniosacral Therapy, Quantum Therapy, Laser Therapy, Acupuncture, Kinesio-Taping, Bioptron Light Therapy, Electrotherapy, Peat wraps and sulphur mud wraps, massages, Cryo and Thermo-Therapy, Oxygen Therapy, Music Therapy and Snoezelen (treatment by light, sound and scents). At the end of the treatment at Renona Centre, the physician together with a team of physiotherapists suggest and teach the patient the basics of home rehabilitation treatment. These supporting therapies together with the rehabilitation exercises under the programmes Renona “Kids” or Renona “Suit” represent the patient´s complete rehabilitation plan. The mission of our therapy is the education, re-education and coordination of the movement of upper and lower limbs; and the re-integration of patients into the ordinary life by teaching them to be independent and self-sufficient which can consequently improve the quality of their life. filling-in the application form available on internet or arranging a free-of-charge consultation (via telephone or mail) at Renona Rehabilitation Centre. The medical and rehabilitation programme Renona Kids is used to treat children from 2-3 weeks of age until the age of 3 years, and is also suitable for older children with height only up to 80 cm. Renona Kids takes 3-4 hours a day for a maximum of 12 days, but visible effects on the patient can be seen already during the fifth or sixth treatment day. All exercises are done with assistance of experienced physiotherapists who perform exercises with the child from the accurately described starting positions according to the Vojta kinesiology method. It makes use of the knowledge of the therapies of Vojta, Bobath, Kabat, PNF and Brunkowa. This rehabilitation programme activates the central nervous system, purposefully provoking certain muscle groups and creating muscle activity that produces optimal postures that are the basis for moving forward and focused motor skills. This targets the induction of reflexes such as crawling and turning, turning pathological reactions to physiological ones, and through this the children will advance in their motor development. Hippotherapy, which has great influence in releasing children from spasms, is also included in this program. At Renona Rehabilitation Centre, we train children from the first visible defects. 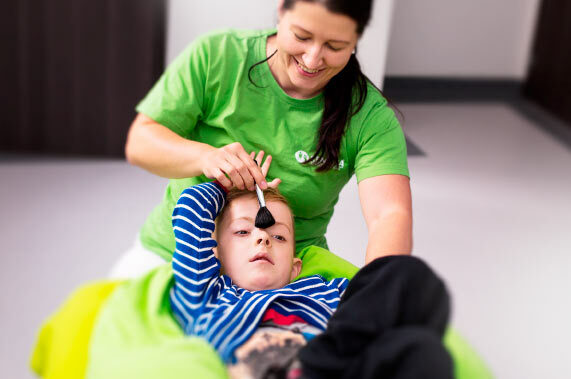 The role of the treatment is to help the child in learning to move, which they are normally trying to do themselves but due to their injuries this is more difficult. The principle of the treatment is a targeted correction of the patient’s bodily posture and movements through the supportive and regulative effects of the suit. The rehabilitation treatment conduces to a powerful normalizing flow of afferent pulses, with an impact on and regeneration of the affected function of the brain motor centre. Treatment by Renona space suits conduces to a great improvement of motional abilities of patients and also to reduction of the existing disorder. The physiotherapist sets up the pressure power which is directed along the body axis. The therapist consequently calculates the pressure intensity and its proportion, depending on the weight, initial motional abilities, age and anamnesis of the patient. The pressure power reforms the position of individual segments of the trunk and lower limb motions. Through exercise and further repression of resistance we increase the activity of the postural position of muscles. The choice of a proper pull, functional correction and rotary motion of body segments is able to direct the flows of standardized impulses through the muscular and ligamentous apparatus in the central nervous system. The rehabilitation treatment performs the functional system of anti-gravitational and other system analysers in the brain, which is the basis for the development of physiological motions. Emotions are also developed in connection with this process, which can to some extent influence the intelligence and speech of the patient. It consists of elastic ropes of various flexibility which are connected to the hip belt. The belt fixates the pelvis and lower extremities of the treated patient. 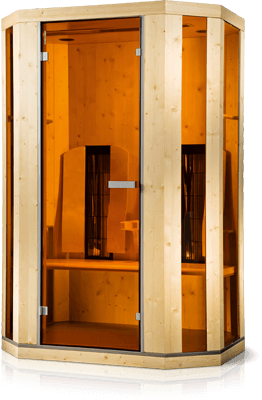 The therapy is performed in a specially adjusted cage which enables independent and at the same time controlled movement as well as strengthening of affected parts of the body. The desired effect is conditioned by using the combination of Renona “Climbing Therapy” and Renona “Suit” costume. The unit allows the physiotherapist to prepare individual training for each patient. With Renona “Climbing Therapy” we achieve improvement of balance and body posture in space. It may be combined with other exercises; in children it is performed in particular by means of playing. With Renona “Climbing Therapy” we try to reduce the CNS disorder manifestations, in particular in patients suffering from infantile cerebral palsy. Our exercises, which are part of the Renona “Climbing Therapy”, are based on the exercises of Berta and Karel Bobath. Using our therapy, we may weaken and in the end remove pathological neurological responses that prevent development of correct mobility patterns or their reconstruction/following a stroke, trauma, surgery/ in older age. With correctly performed Climbing training in Renona suit we try to set up physiological neurological responses that ensure correct coordinated movements of the body hand in hand in cooperation with the vestibular apparatus of the ear. Snoezelen is a method offered by Renona Rehabilitation Centre in a pleasant ambient, in a specially furnished room, and is provided using lighting and sound effects as well as scents. It is applied to patients with polio, mentally retarded or autistic patients, children with Down syndrome, or pre-maturely born children. This multifunctional method is suitable from the earliest age of a child. It offers activities stimulating the children´s senses. A child may choose from offered possibilities the ones he or she finds pleasant and the therapist stimulates the choice so as to make use of the senses in a comprehensive manner to gain new experience. The aim of the method at Renona Rehabilitation Centre is to relax the patient, stimulate his or her senses and develop the personality. Children learn not only to perceive surrounding objects, but also to express their feelings. » increased spontaneity and initiative. When using this method, Renona Rehabilitation Centre respects patient´s own rhythm, intensity of his or her perception, and the therapy is adjusted to the patient´s taste and objects he or she finds pleasing. Nice atmosphere is induced through music, lights and scents. The Snoezelen method stimulates all senses. It is important not to abruptly terminate the peaceful atmosphere created in this room, but finish the treatment gradually and slowly. Renona Rehabilitation Centre applies individual approach to each patient when using this method. The patient experiences personal contact with the physiotherapist, which helps their better communication. The therapy, in fact, represents a natural manual therapy which has a preventive, treating, psychological and emotional focus, and is also anatomically and somatically oriented. Craniosacral therapy has its origins already in 1971 in a book by the American doctor John Upledger. He found out that cerebrospinal fluid is constantly fluctuating in our craniosacral system (a three-layer system connecting the skull, neck-spine vertebrae, sacrum and nerve connections of the whole body). The fluid nourishes and detoxicates the whole nervous system. It has been proved that the action of these radiances causes an intensive medical effect. Treatment by magnetic, infrared and laser apparatus helps in the reduction of medications being taken and can help toward complete medication elimination. It also helps to reduce 2-3 rehabilitation periods, to reduce the treatment time of a wide spectrum of illnesses, and has a big preventive potential. This treatment is without side effects, non-invasive and ecologically safe. Kinesio-tape is a cotton, elastic, anti-allergic and water-resistant strip. It helps patients by fixing the affected joints and muscles which are then placed into the correct position for the rehabilitation treatment. We use kinesio-tape also for pain reduction, reduced inflammation and for muscle fatigue reduction. It is, however, important to understand that taping has to be applied properly. At Renona Rehabilitation Center it is applied to patients after consultation between the doctor and physiotherapist. 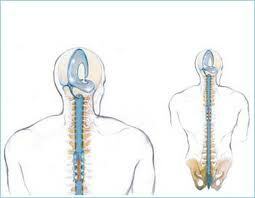 The use of this treatment depends on the disability and health condition of the patient. A great benefit of this method is that the patient can also receive this tape after rehabilitation. This therapy is one of the supporting therapies used at Renona Rehabilitation which we practice daily during the 12, 18 and 24-day rehabilitation programmes. It uses polarized light with a certain wave length which penetrates tissues and starts the own regeneration of the organism. The main effects of the polarized light used to treat our patients are: myorelaxation (elimination of myotonia), analgesic effects (against pain), anti-inflammatory effects, bio stimulation (healing processes, strengthening of immunity, better blood circulation, elimination of fatigue, tiredness etc. ), effects in case of neurological difficulties (after apoplectic seizure, epilepsy); traumatological problems; or to strengthen and stabilise joints, ligaments or cartilages. The Bioptron lamp has a wide range of use; therefore we try to use its maximum effects individually for every patient. In this therapy we conduct the treatment which can be described as laser acupuncture. Within the speech therapy care, we provide complex diagnostics, targeted intervention and prevention with patients with disrupted communication ability. As a part of intervention, we provide counselling for family members and communication partners of our patients. We provide individual approach to all our patients, focusing on specific areas of problems. The Renona Rehabilitation programme uses a model of complex care with the aim to maximally develop the communication ability and all the participating subsystems. We care about the well-being of our patients and their family. Therefore, we focus on the cooperation with the closest family members. We want the targeted therapy and re-education continue after the therapeutic stay in Renona Rehabilitation, to maximise the efficiency of speech therapy intervention. The target group are mainly children with cerebral palsy, post-traumatic and Cerebral Vascular Accident patients, who suffer from delayed or disrupted speech development, dysarthria, aphasia, speech disorders, hearing disorders etc. focuses on targeted correction of body posture, performance of movements with help of supporting and regulatory effects of a special suit. 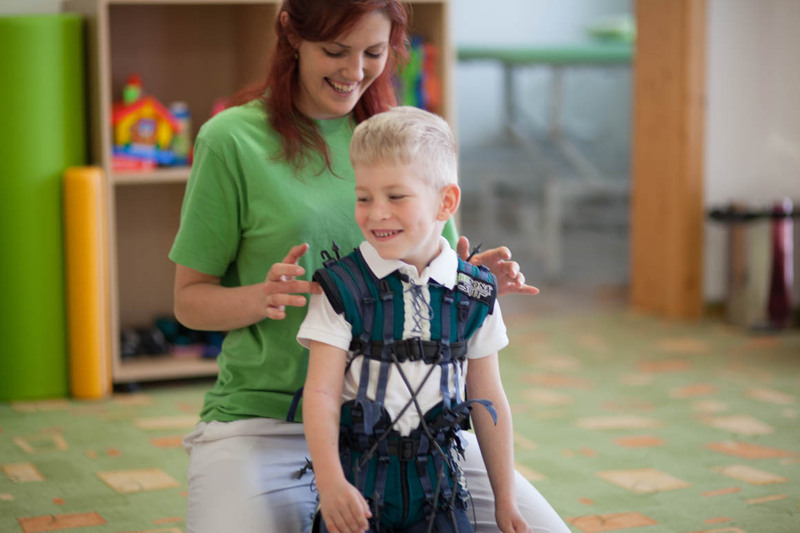 is a rehabilitation programme where physiotherapists do exercises with a child through various techniques (Vojta, Bobath, Kabát, PNF and Brunkowa). Craniosacral therapy (cranium = skull, sacrum = the bone at the base of the spine) is a tender and non-invasive contact method. A therapist´s gentle touch never exceeds pressure of 5 grams per square cm, it tunes up the craniosacral rhythm, improves pulsation of the cerebrospinal fluid, which thus affects locomotive functions, thinking and emotions of the patient. It is a global, tender, yet very efficient treatment. CST in general is beneficial for stimulation and harmonisation of the physical and psychological strengths of an individual. It may be applied both in case of short-term acute problems, as well as in case of chronic patients. It has natural auto-regulation abilities helping to improve the functions of brain and spinal cord and other systems related to CNS – immune, hormonal, neuro-musculoskeletal, vascular and respiratory systems. The therapy results in a deep physical and emotional relaxation, and at the same time activates the self-healing processes within an organism. » additional treatments after-incident and after-surgery convalescence. Renona Rehabilitation Centre offers a stimulation, reflexology, zonal (local) and relaxation massage. In this time the physiotherapist applies all four kinds of massage techniques. In our centre we pride ourselves on the sequence of the exercises and massages which is an important part of the treatment. In Renona Rehabilitation Centre we have the rule that the physiotherapist who takes the gym-exercises in the team, also performs the massages. Cryotherapy is the therapeutic method based on the principle of the effect of low temperature for a short time. With its effect, it provides for the intense stimulation of immune and endocrine system, whereby it induces an increased hyperaemia of the entire organism, the saturation of blood with endorphins and thereby it blocks the painful feelings of various causes for several hours. The therapeutic effect is present in the entire organism. An important role is played by duration Cryotherapy is indicated for the improvement of the condition of locomotive apparatus, for rheumatoid diseases, gout, sclerosis multiplex, posttraumatic conditions, for the improvement of organism regeneration, it stimulates immune system in a positive way and accelerates tissue healing processes.